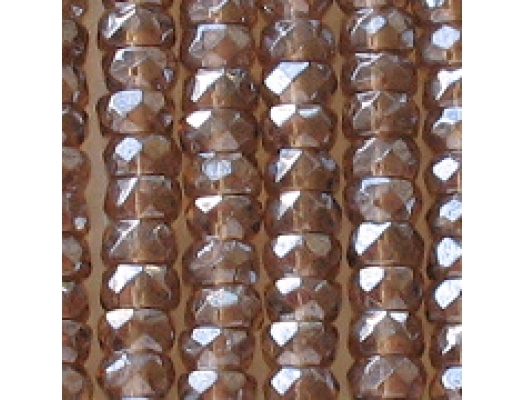 3mm x 6mm faceted rondelles (rondelles are tire-shaped). 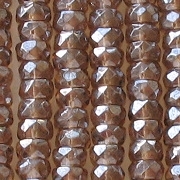 Medium translucent brown with a lustrous coating. 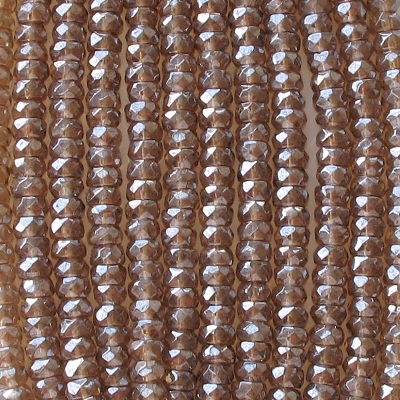 This color is commonly referred to as "smoky topaz" or "dark topaz", but I've decided to dispense with the fancy description. The supplier that I got these from charges more than my usual supplier, so the price is higher.